Strawberry crop globally is considered one of the most dynamic economic crops, with US ranked first in the world. On a European scale the countries which dominate are Spain, Italy, France, Belgium, England, the Netherlands and Greece. In Greece, in Ilia region, the strawberry surface is around 100 hectares, while its cultivation is located in other areas also, on a smaller scale, such as Aitoloakarnania, Thessaly, North Greece and Crete. Due to its large cultivation cycle and its sensitivity to diseases and pests, many sprays are applied during its cultivation, resulting in the product being burdened with chemical residues, losing its competitive value. Western European markets have enormous potential for the Greek market, but they are also highly competitive and demanding in terms of product quality and the chemical residues. Characteristically, some supermarket chains are asking not to detect more than two or three active ones. 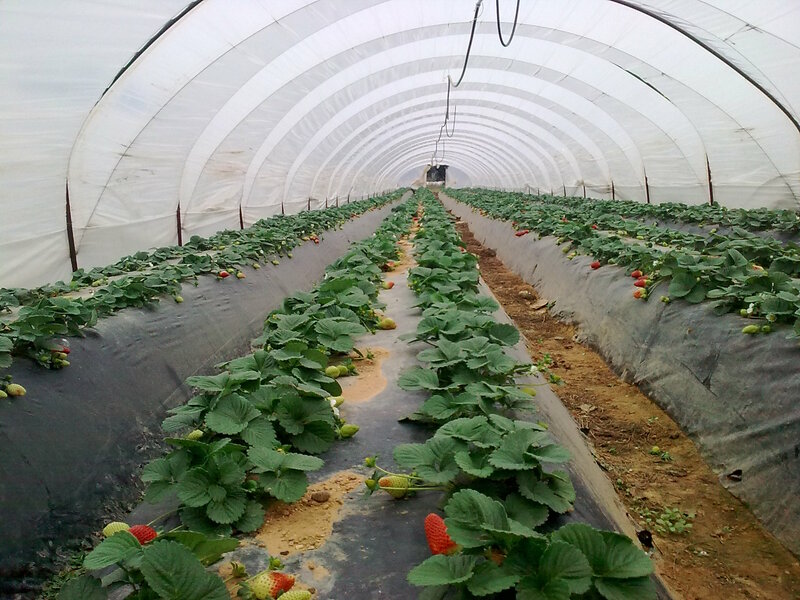 For this reason, Anthesis Ltd has invested in Integrated Plant Protection programs in strawberry cultivation, emphasize on the combination use of all available plant protection methods: bombs, monitoring pheromones, beneficial insects, organic medicines, plant protection products. The main purpose is to minimize the chemical residues and ultimately to qualitatively and quantitatively upgrade the production in accordance with Western European standards.